Come mid-afternoon (like between 2:30 and 3:30) most of us find that we need a little booster to get through the rest of my day. 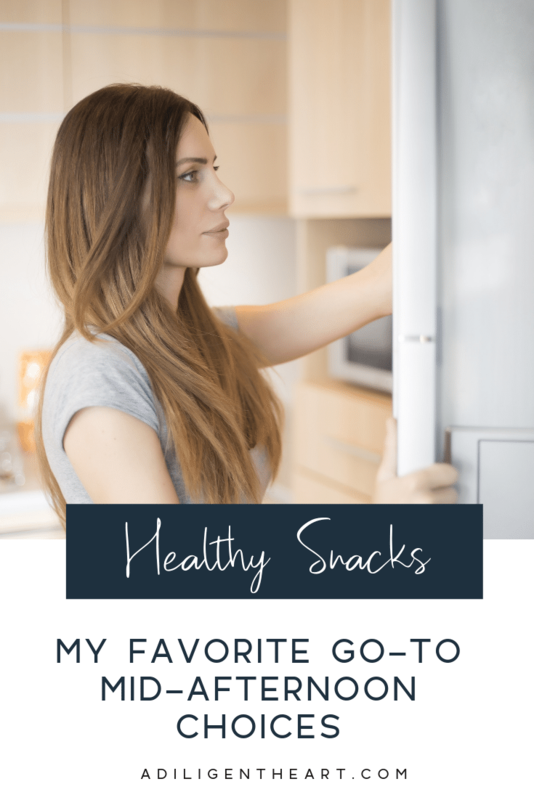 I’m sharing my favorite healthy go-to snacks for when that time hits! These are great options to have available so you can turn to them in a pinch. Having these readily available means that you’ll be less likely to turn to the junk! 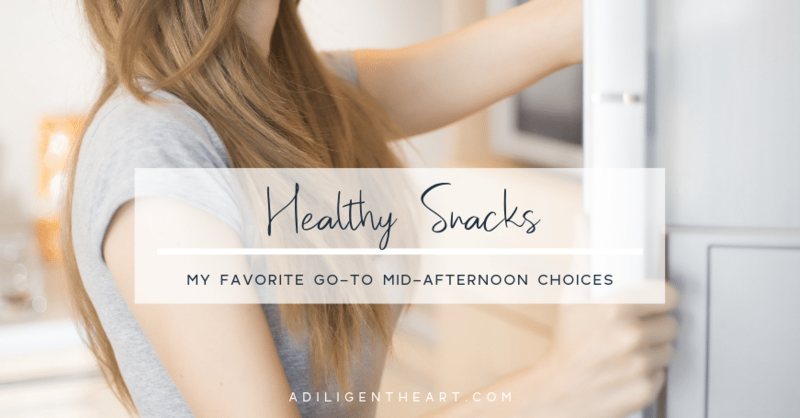 Here are my favorite go-to mid-day healthy snack options. I like to include peanut butter in my snacks as often as possible. I go for natural peanut butter as I haven’t gotten around to learning how to make my own yet. To make these it’s pretty simple. 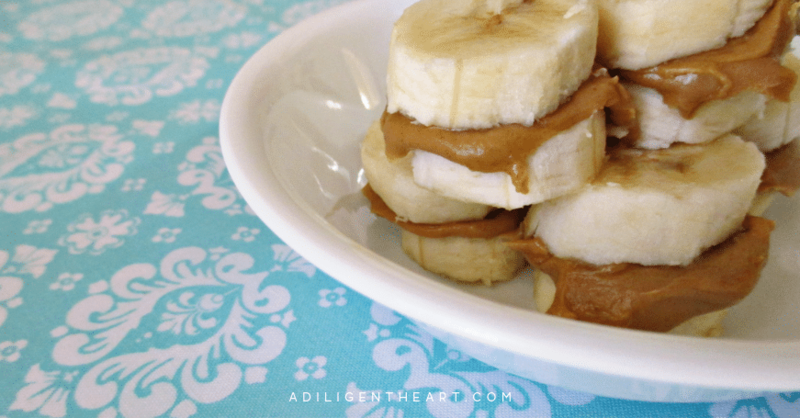 Slice them up and top one slice with peanut butter, then place another slice on it to make a mini sandwich. Honey is my one sweetener. I love that it comes from natural resources and you can’t really go wrong with it! I love to drizzle some on a toasted English Muffin. It’s great for any time of day, but I save the little treat for mid-afternoons. 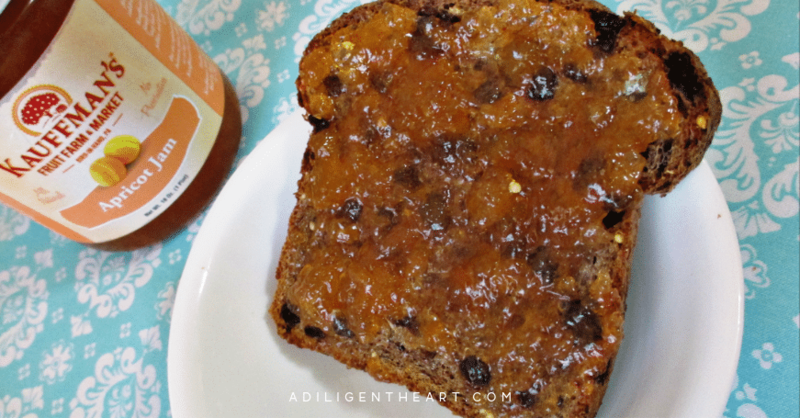 Ezekiel bread is a new item I’ve added to our pantry (or freezer better said). I wasn’t too sure about it as I’m not one who embraces changes in food well. I like that this bread was an awesome surprise! It’s hearty, packed with protein and great nutrition! 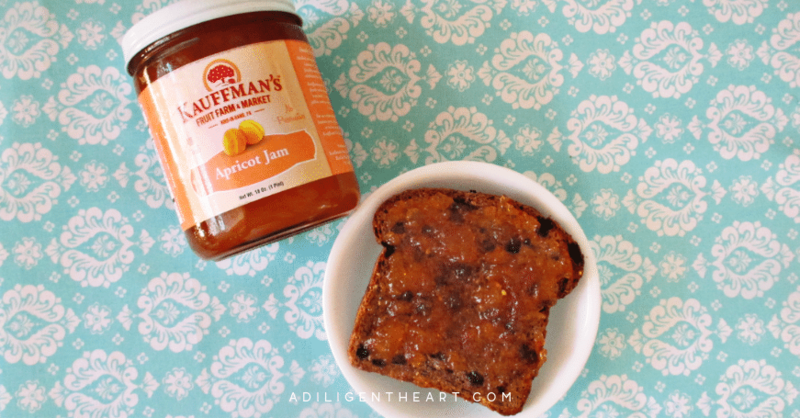 I top mine with some Apricot Jam from Kauffman’s Fruit Farm. 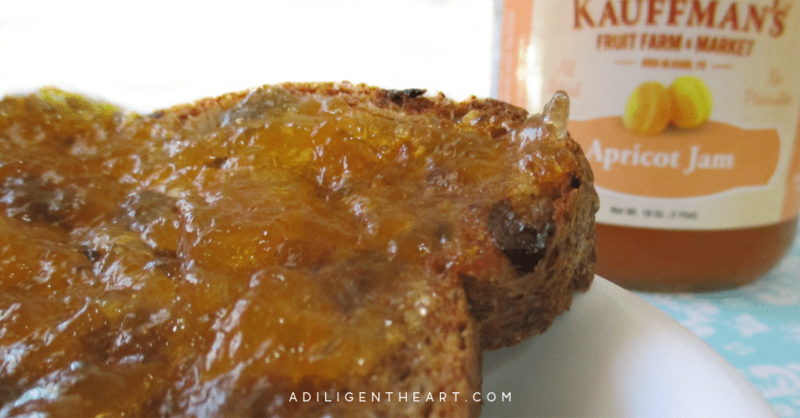 This Jam was in one of their monthly boxes and we have LOVED it! 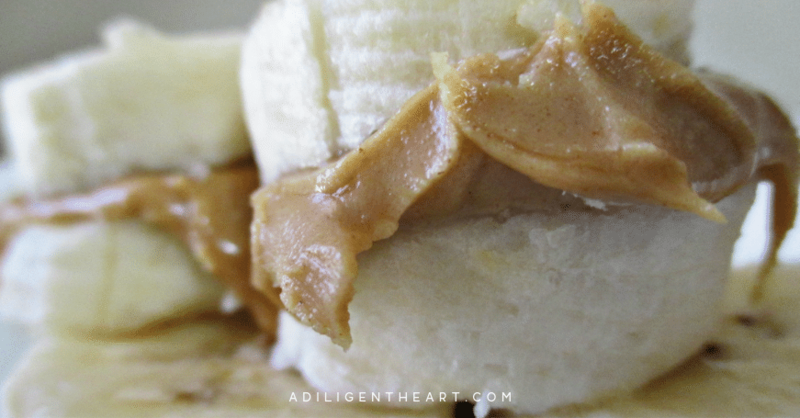 Like with the banana sandwiches, I go for natural peanut butter on this. It’s super simple to pull together. 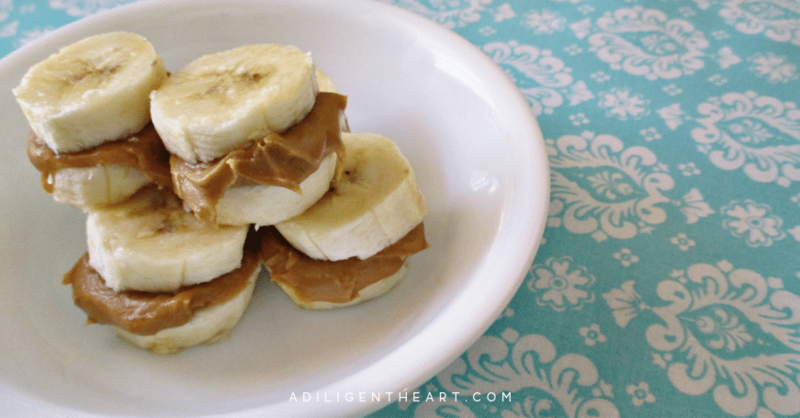 Just spread some peanut butter on your graham crackers and you’ve got a great healthy treat! 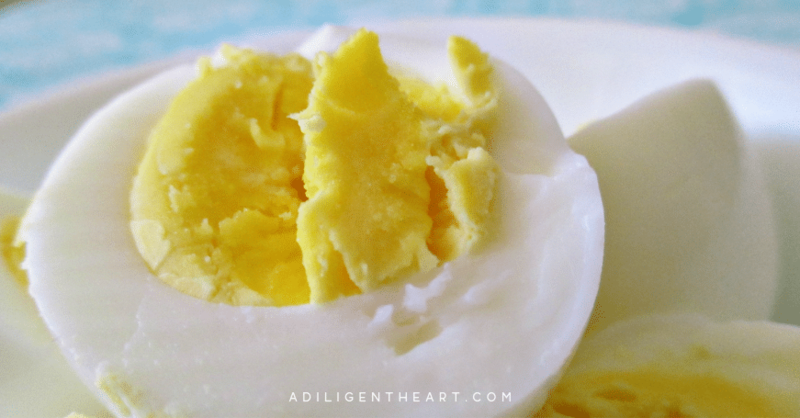 Hard boiled eggs are one of my favorites!!! I top mine with a little bit of butter for a healthy fat resource. It often helps with boosting my energy mid-day. 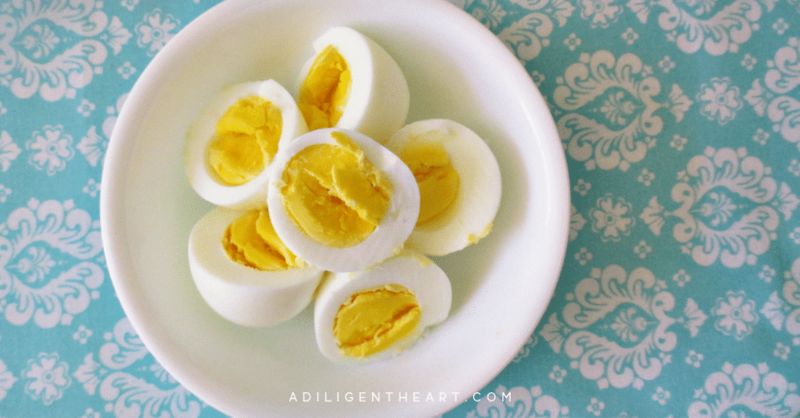 The eggs of course – offer a great source of protein which is great for extra energy! You can have the with or without butter too, I just like how it tastes with mine. 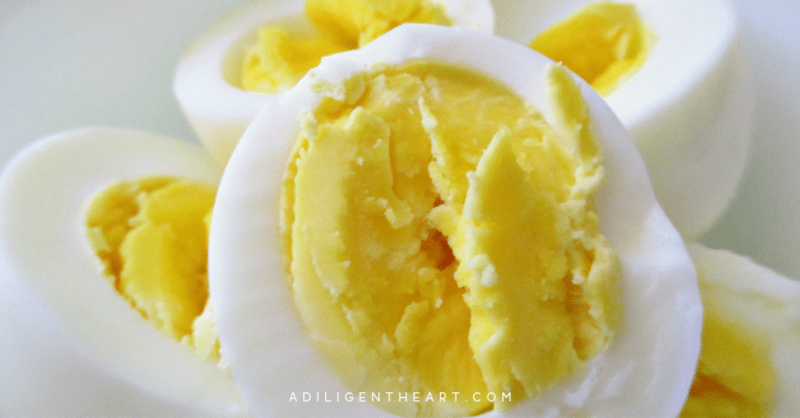 To make these just boil your eggs to your preferred done-ness, let cool a bit so you can handle them, peel the shell, and eat! 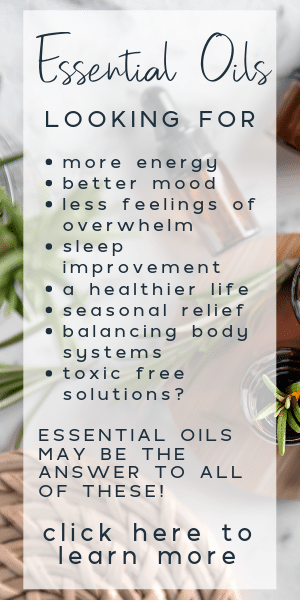 I hope these suggestions have inspired you to reach for healthier options come that mid-afternoon slump! 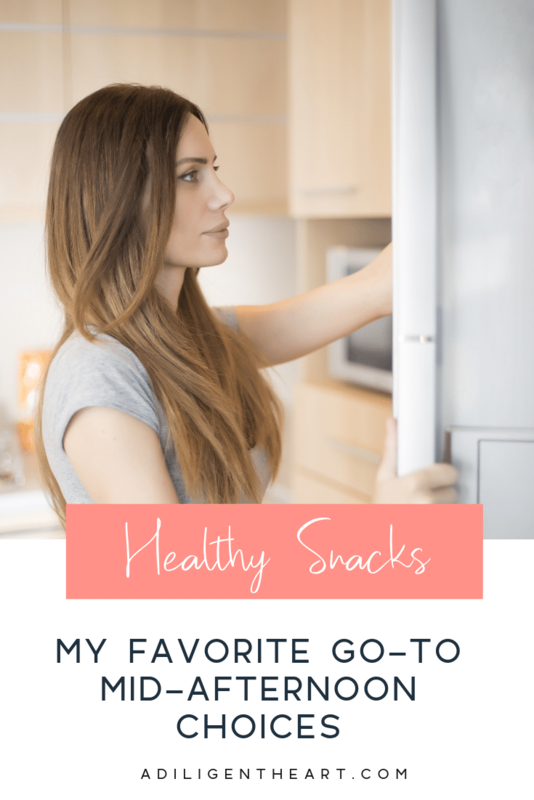 What are some of your easy go-to healthy snacks? This post is amazing! 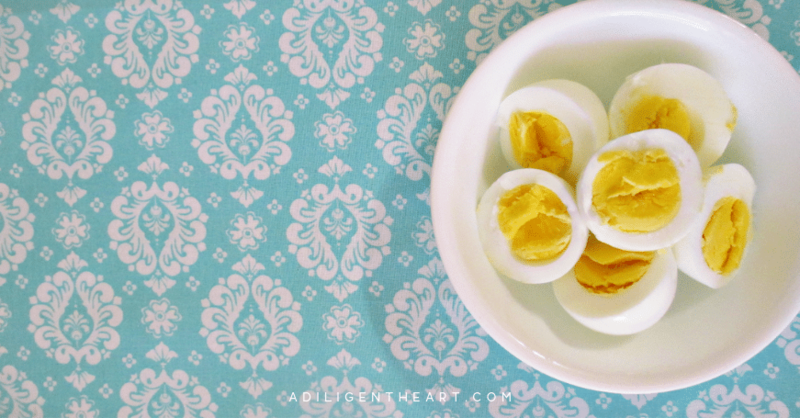 Thank you for sharing all great snacks which look so yummy and easy to make. As a golf player, snacks are so important and helpful to me. I like the best English muffin and honey in your post but will definitely try all of them out.